It's 11:13 in Vése, Hungary right now. Homokkomárom: Landscape View, 18.9 miles away. Keszthely: View onto Lake Balaton, 24.5 miles away. Keszthely: View over Keszthelyi, 24.5 miles away. Fonyód: View onto Lake Balaton, 26.2 miles away. 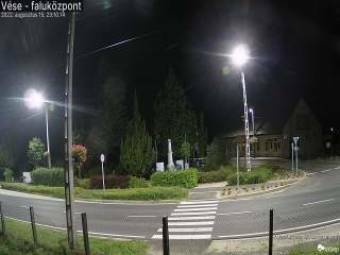 Koprivnica: HD Stream Zrinski Trg, 27.8 miles away. Törökkoppány: City View, 38.4 miles away. Sümeg: Sümeg Castle, 39.4 miles away. Kalnik: Old Castle of Kalnik, 44.1 miles away.